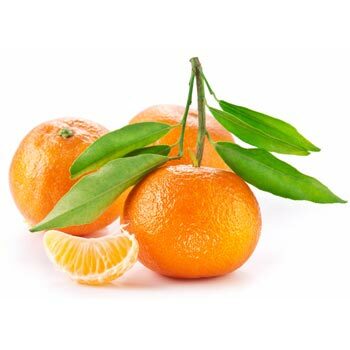 The mandarin tree may be much smaller than that of the sweet orange or equal in size, depending on variety. The fruit is oblate, the peel bright-orange or red-orange when ripe, loose, separating easily from the segments. Seeds are small, pointed at one end,. The clementine is petite, bright orange in appearance with a glossy, leathery peel rich with essential oils. When punctured the peel reveals bright citrus aromatics. The skin clings loosely to its segmented flesh allowing for easy peeling. Its flesh is juicy, superbly sweet and generally seedless.